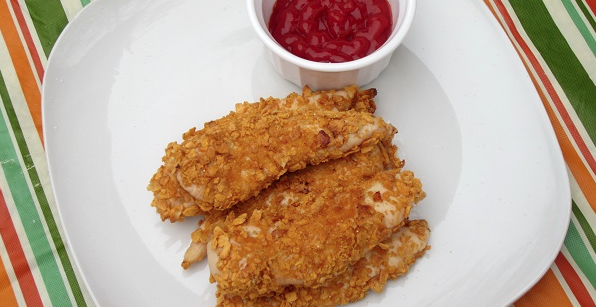 This entry was posted in g-free recipes, giveaways, reviews and tagged giveaway, gluten-free kid, kids, recipes, review, Van's by kachalmers2. Bookmark the permalink. 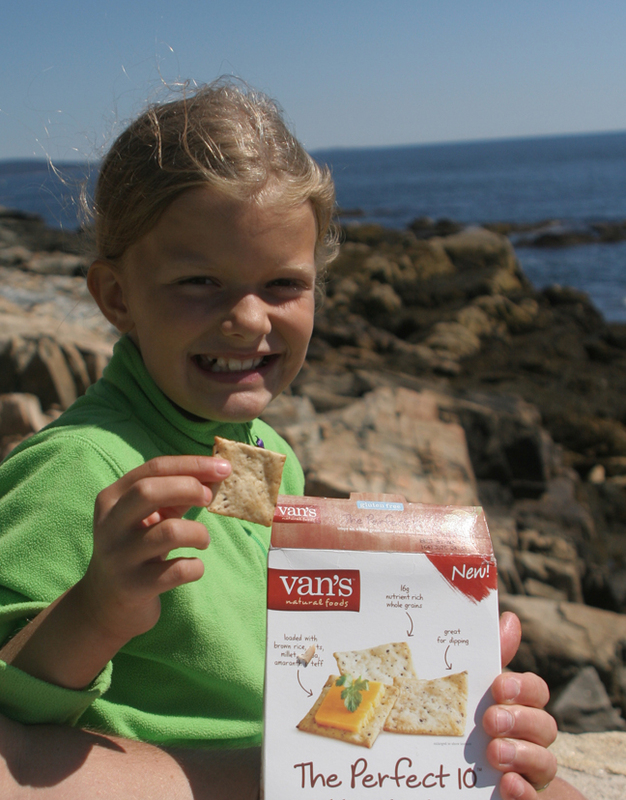 We are obsessed with Van’s crackers! My Costco is selling them in larger bags, which I love! The smaller boxes don’t stand a chance around here. When crunched for time, we use their frozen waffles with a little natural peanut butter on top. Works wonders when you really just want a piece of toast. 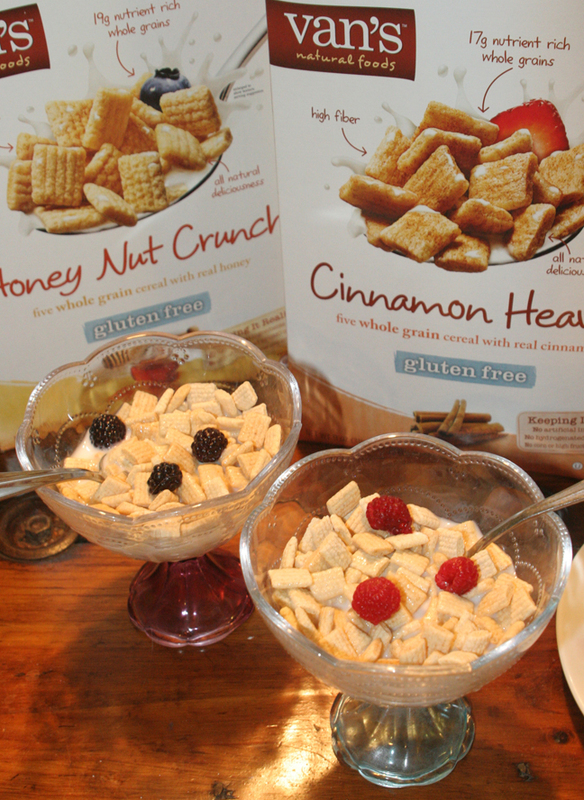 We haven’t tried their cereals yet…aaahhemm….gonna grab some the next time I am at the store! Love the support and ideas from your site! Thanks! I think the crackers would be a hit. It’d be great for lunches. Yum!!! The perfect 10! Looks like a good one for cheese and crackers! Thanks for the chance to win! Also, my son and I like the chocolate chip granola bars a lot! Oh my, they all look so good. Can’t wait to try them! Thank you for your dedication to sharing your discoveries with the public. Take 10! 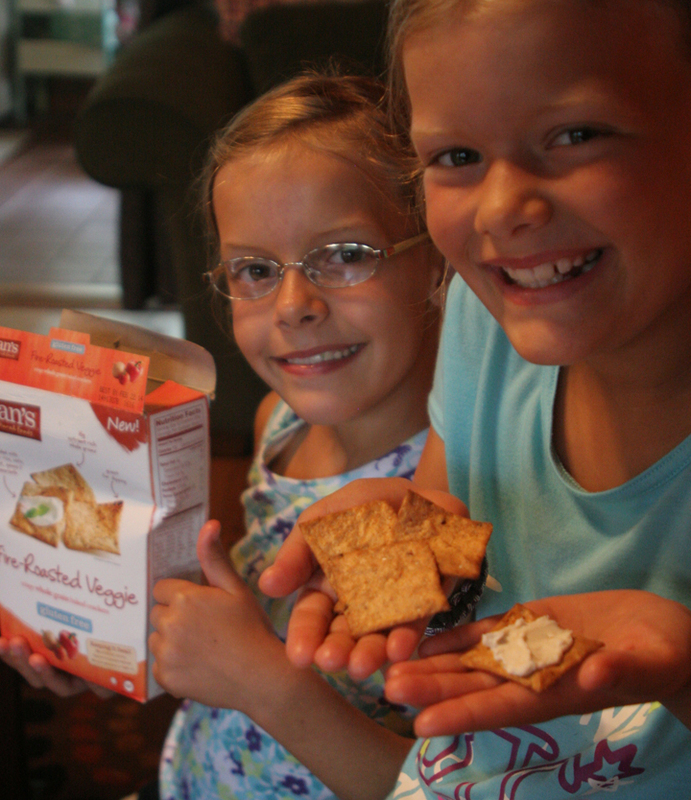 We love the multigrain crackers! I have only tried the Say Cheese but I love them! We LOVE Van’s! Our favorite “new” product is their Cranberry Almond Snack Bars. 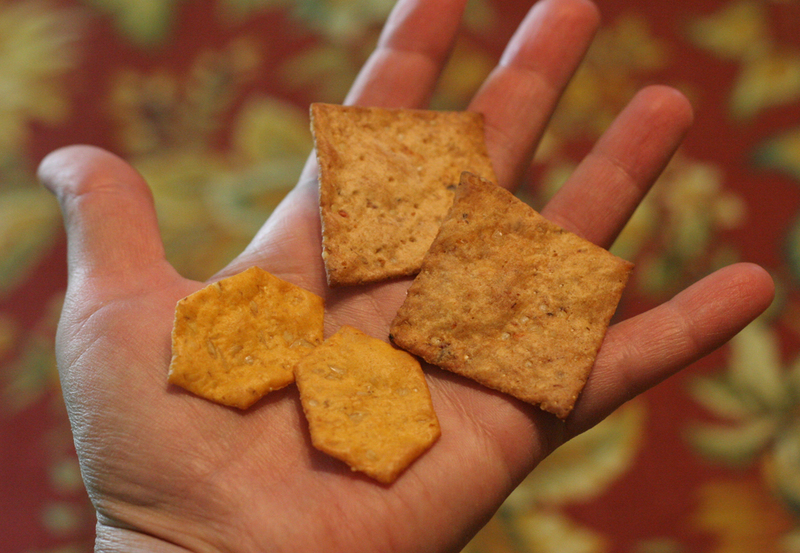 Delicious, soft, chewy … I could go on and on. Can’t wait to try the crackers. Would love to try out the cereals! Always looking for healthier options and Vans products have always been a greAt gluten free option. Kids here like something sweet and crunchy so I’d pick the Honey Nut Crunch cereal. 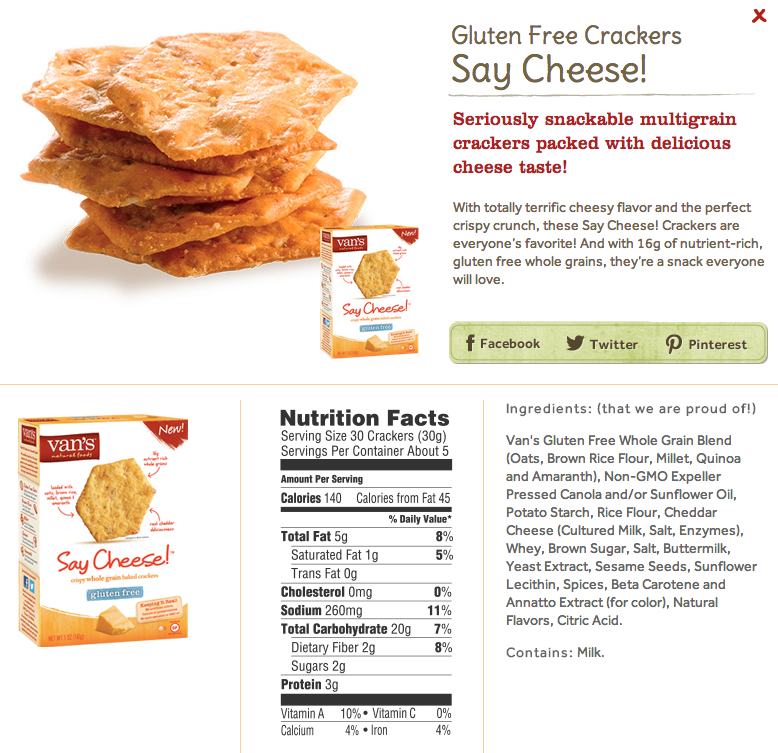 My kids absolutely love the Say Cheese crackers and I love the Perfect 10 ones. We haven’t tried the cereal yet, but looking forward to it. I think the kids would like the Cinnamon Heaven one best.